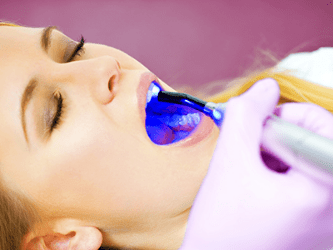 A dental filling is a direct restoration used to repair a decayed or damaged tooth, and is often the first line of defense in a tooth that has been compromised. 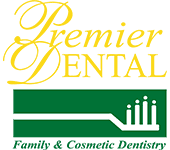 During this procedure, your dentist will use a local anesthetic to numb the area and begin by removing any decayed/structurally unsound portions of natural tooth. Once the tooth has been so prepared, the “filling” can begin. The most common materials used in fillings are dental amalgam and composite resin (tooth-colored synthetic material). In our office we almost always opt for composite resin, matched to the shade of your natural teeth, for our fillings. This preference is due both to the natural result that can be achieved with composite and the capability of modern composite materials to last just as long as the traditional dental amalgam. After the tooth is prepared, the chosen material is applied, shaped and cured (hardened and set) to achieve the final restoration. Fillings range in price and appointment length depending on how large the area of decay is and how many surfaces of the tooth the filling covers. Dental bonding is essentially the same process as a dental filling –material is used to fill in, build up or otherwise repair a natural tooth. While the term “filling” usually applies to repairing an area of decay, bonding is more commonly a cosmetic term. It describes any procedure where material is used to change the shape, color or other aesthetic aspects of the tooth. The material used is almost always composite resin, and many times no anesthesia is required. This is often the most economical choice when searching for a cosmetic improvement to one’s teeth.